Cut the wire to length. The edge of the wire must be square. 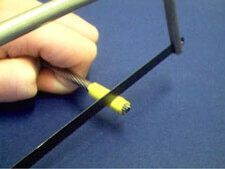 Try wrapping a piece of tape around the end of the wire which will keep the strands in place while cutting. A clean cut will assist assembly. Place the main body part over the wire rope as shown. 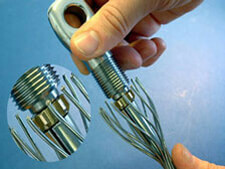 Untwist the outer wire strands by gripping firmly and twisting in the opposite direction to the lay of the wire. 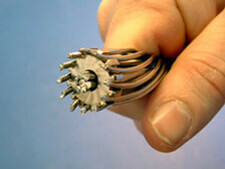 Keep unwinding the outer strands until you can clearly see the centre core wire. Slide the thin end of the cone over the centre strand. You can force the cone open with a screwdriver blade if necessary. 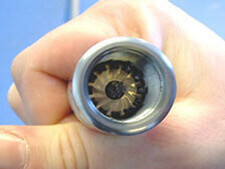 Slide the crown ring over the core with the concave side to the cone. 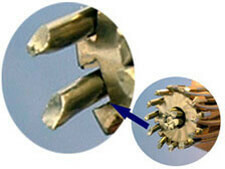 There is a hole in the centre of the threaded stud, fork or eye. Push the crown ring on with this part and the core will protrude by the correct amount. 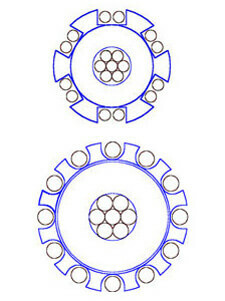 Note how the crown ring (in red) and the core (in blue) should be seated. 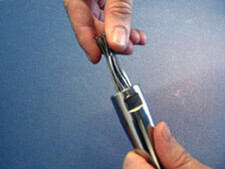 Gently twist the outer strands of the wire rope back into position over the Cone. 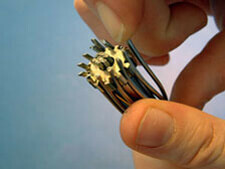 Firmly twist the Crown Ring in the direction of the lay while you position the outer strands in the slots. 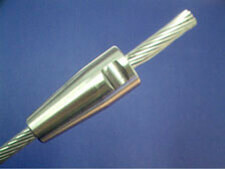 Wire sizes up to 5mm require 2 strands per slot. 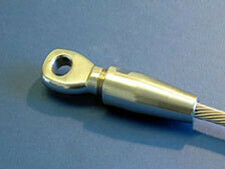 Wire sizes above 5mm have 1 strand per slot. When all of the outer strands are in place the Cone and Crown Ring will remain in place with no assistance. 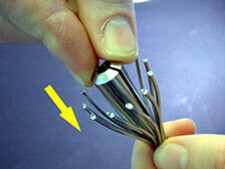 Make sure that each outer strand is not out of position and that each slot houses the correct number of strands. At this stage you can test that the fitting has been assembled correctly by positioning the threaded end fitting on top of the Crown Ring. The part should sit flush with none of the wire obstructing the threads of the end fitting. Gently twist the body back up the wire and over the Cone and Crown Ring, rotating in the same direction as the lay of wire. 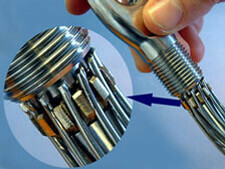 Screw the threaded end fitting tightly onto the body. Do not apply thread locking solution at this stage. 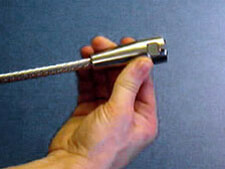 Remove the end fitting and ensure that the outer strands and the crown ring have stayed in position. 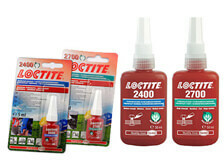 Screw the threaded end fitting back into position and fix with Loctite 262 or some other suitable thread locking solution.